Scrollwork and spindles inspired by French Rococo. 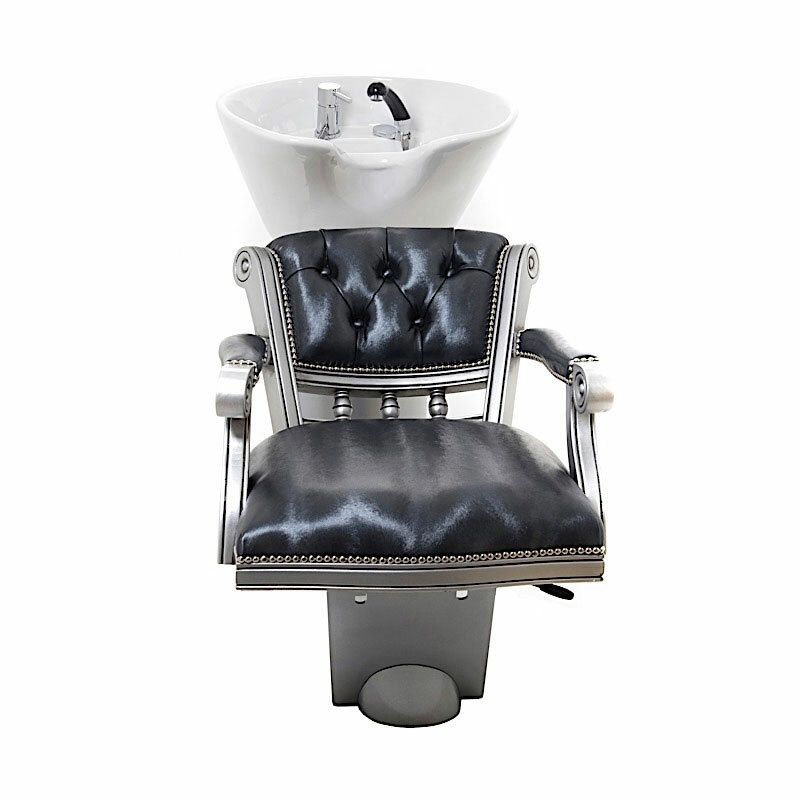 The WBX Pompadour 2000 Backwash features the wooden scrollwork detailing of their Pompadour Styling Chair integrated with a 2000 pedestal wash unit. The chair is attached via a seat slider which lets you adjust the distance between chair and basin by up to 60 mm for perfect client comfort. 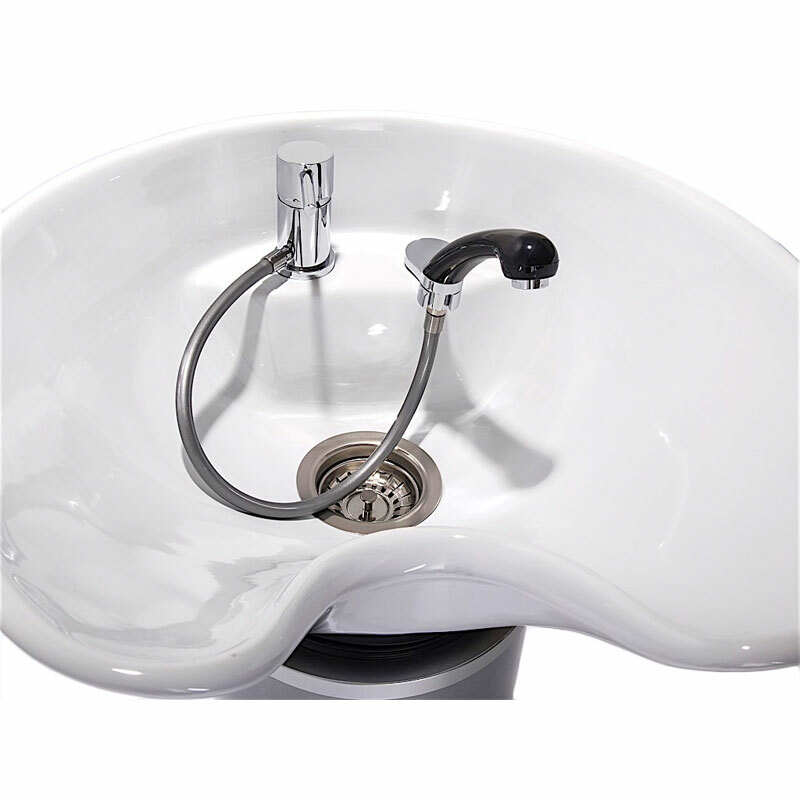 The wash unit includes a deep, Italian-ceramic basin that's on an adjustable tilt mechanism. It comes with a mixer tap and "anti-drop" shower head, designed to ensure that the hose stays within the basin to keep water off your floors. The pedestal has a removable panel, making it easy to plumb in. Like its styling chair cousin, the chair on the Pompadour is handmade in the UK from solid, sustainably sourced beech which gives it excellent strength and durability. 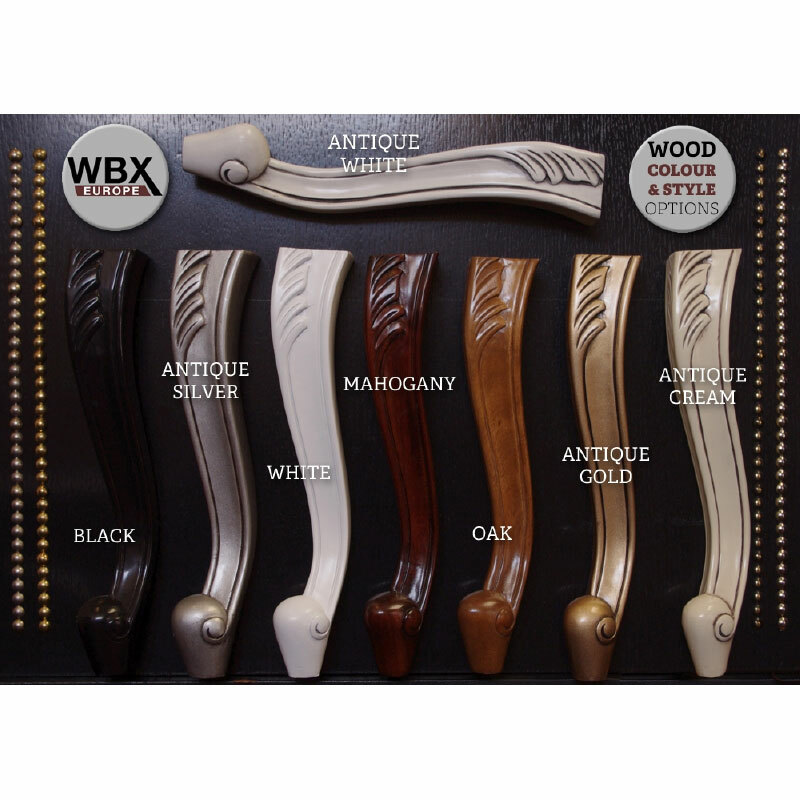 There's a wide range of wood finishes for the wooden scrolling and spindles, which WBX can even colour match to a colour in your salon if you wish. As each WBX chair is made to order, there's a vast range of colours and fabrics to choose from. Browse through the choices here and then type your choice into the box below (we'll call you back to confirm the detail). 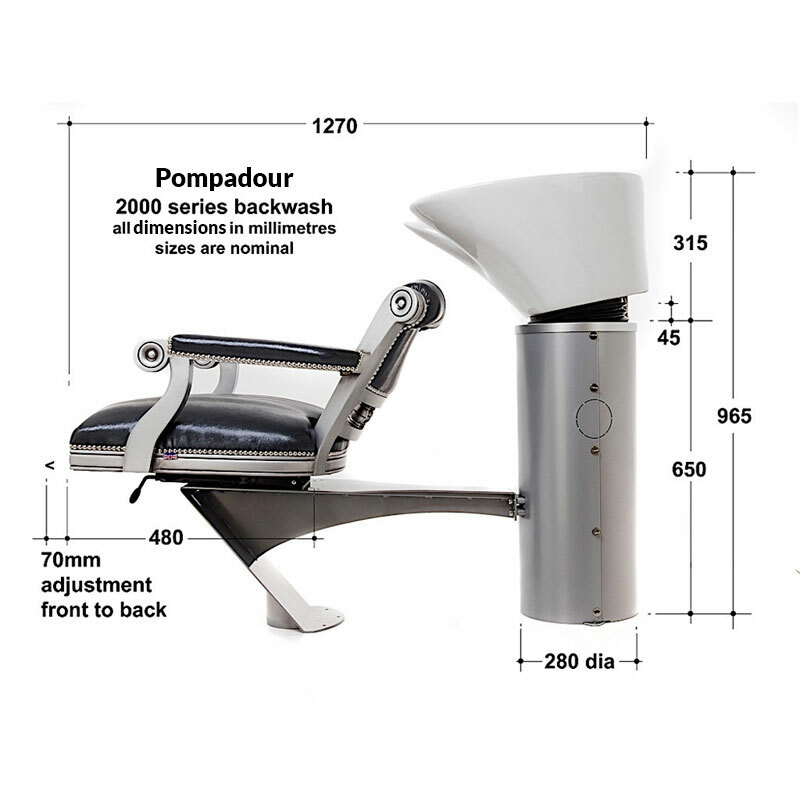 The Pompadour 2000 Backwash is usually made with buttoned-back upholstery (as shown), but you can opt to have a plain back if you prefer. Dimensions: 965 mm (h), 430 mm (w), 1270 mm (d). £988.80 (inc. VAT) Why no VAT? We're a trade wholesaler and quote our prices without VAT to help our VAT-registered customers understand the true cost of a purchase. Scroll detailing gives a French Rococo feel to bring an instant hit of glamorous heritage to your salon interior. Choose from 4 bases and a vast range of colours, fabrics and finishes. Reusable chair protector that's proof against tint, bleach and styling products to keep your chair backs looking fab. Wipeable, washable and available in 3 different sizes.